Extremely rare and hypnotically beautiful, the citrine rings here at Diamond Boutique have been created from a gemstone that enjoys a more mysterious character. Immortalised by big Hollywood names such as Joan Crawford and Greta Garbo, citrine suits all forms of jewellery. Offered in rings with settings of both yellow and white gold, alongside lustrous platinum bands, the collection radiates a vintage charm. 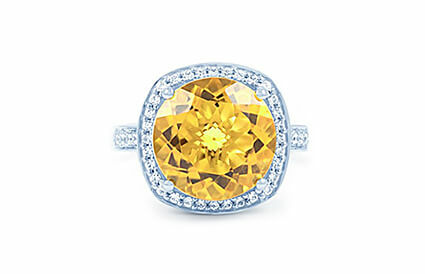 If you’re looking for the perfect citrine ring, you’re sure to find it in our collection. Alternatively, we offer a custom design service for a personal and bespoke ring. Contact us today on +44 (0) 203 6959 885 for more details.